The benefits of meditation are many, as anyone who meditates knows, but claiming it can help you live longer seems a trifle OTT. However, a good study from a meditation centre in Colorado, US, suggests that the practice can actually add years to your life. While meditation may be effective in reducing stress and in protecting your telomeres, there are other ways if you have no interest in meditation. Exercise can buffer the effects of stress on telomeres and so do stress management programmes. Writing an emotional diary can help patients to delay the progress of HIV. What were Dean Ornish, Mehmet Oz, Dan Brown, the Dalai Lama, and I all doing in Woodstock, New York, last week? We — along with an assortment of Tibetan monks and doctors, Buddhist scholars, meditation researchers, and prize-winning biomedical scientists in the field of aging, the immune system, stem cells, genetics, brain aging, stress physiology, and more from MIT, Yale, Harvard, Columbia, Duke, and UCSF — were all part of a special conference at the Menla Center. The subject of this conference: Longevity and Tibetan medicine. If that seems intriguing, it was! The goal of the conference might sound complex — but it was quite simple. We were there to investigate the relationship between the science of longevity and wellness and the ancient Indo-Tibetan practices of meditation and training the mind. The point wasn’t to learn how to treat disease, but to learn what we know about regeneration of the body, protection from illness, and optimization of our function and wellbeing. The convergence of “post-modern biology” — the new science of “systems” thinking and medicine — and the ancient wisdom and practices of Tibetan medicine and Buddhism was startling. Well, for one thing, we explored the relationship between the nervous system and health and aging, and the connection between the immune system and health. As you get older, your immune system produces more inflammatory molecules, and your nervous system turns on the stress response, promoting system breakdown and aging. That’s not just talk. It’s backed by scientific studies. For example, Kevin Tracey, the director of the Feinstein Institute for Medical Research, discovered how the brain controls the immune system through a direct nerve-based connection. He describes this as the inflammatory reflex (i). Simply put, it is the way the immune system responds to the mind. You immune system is controlled by a nerve call the vagus nerve. It is the most important nerve coming from the brain and travels to all the major organs. And you can activate this nerve — through relaxation, meditation, and other ancient practices. Well, by activating the vagus nerve, you can control your immune cells, reduce inflammation, and even prevent disease and aging! It’s true. By creating positive brain states — as meditation masters have done for centuries — you can switch on the vagus nerve and control inflammation. You can actually control your gene function by this method. Activate the vagus nerve, and you can switch on the genes that help control inflammation. And, as you know from my books Ultraprevention and UltraMetabolism, inflammation is one of the central factors of disease and aging. But that’s not all we learned at the conference. Even more fascinating was the discovery that our bodies can regenerate at any age. This is a phenomenal breakthrough. It means that we have the power to create new cells and renew our own organs and tissues at any age. And how are these stem cells controlled? You guessed it: the vagus nerve. So relaxation — a state of calm, peace, and stillness — can activate the vagus nerve. And the vagus nerve, in turn, activates your stem cells to regenerate and renew your tissues and organs. Scientists have even shown how meditation makes the brain bigger and better. They’ve mapped out the brain function of “professional meditators” by bringing Tibetan lamas trained in concentration and mental control into the laboratory. Relaxation can have other powerful effects on our biology. In biology, being a complex system that can adapt to its environment and that is resilient and flexible is critical to health. The more complex and resilient we are, the healthier we are. Take, for example, our heartbeat. Its complexity is called heart rate variability (HRV) or beat-to-beat variability. The more complex your HRV, the healthier you are. The least complex heart rate is the worst — a flat line. So what does this have to do with relaxation? The HRV is also controlled by the vagus nerve. As you can see, turning on the relaxation response and activating that vagus nerve is critical to health. Let me review what we learned at the conference. * Thicken your brain (which normally shrinks with aging). Not bad for just learning to chill out! Think you’re too stressed out to relax? Not so fast. We learned that it’s not always outside stressors that are the most important, but our responses to those stressors. In fact, the Dalai Lama told a story of a Tibetan monk he met who had been in a Chinese gulag, where he was tortured, placed in solitary confinement, and prohibited from practicing his traditions for more than 20 years. The Dalai Lama asked him what his greatest stress was. The monk replied that it was his fear that he would lose compassion for his Chinese jailers! I have met a number of these old monks, who spent the better part of their lives imprisoned and tortured. What is remarkable is that they didn’t suffer from post-traumatic stress syndrome — that they emerged intact, peaceful, happy, smiling, and giving back to the world. Perhaps stress is more about the stories we tell ourselves about our lives. On the other hand, the damaging effects of stress are clear. As we learned at the conference, one of the leading theories of aging is that the protective ends of our DNA (called telomeres) shorten as we age. Elizabeth Blackburn, PhD, who discovered telomeres, explained that, ultimately, they become so short that the end of our DNA unravels and we can no longer replicate our cells, so they die. Remarkably, mental stress produces a more rapid shortening of the telomeres — and leads to faster aging. In a study of caregivers of sick patients, the health of the caregivers’ telomeres was determined by their attitude! It sounds impossible, but it’s true. In closing, the Dalai Lama said that the seat of compassion is actually biological and — necessary for survival. Perhaps the development of compassion and wisdom in coping with unfavorable life conditions is the true key to longevity. 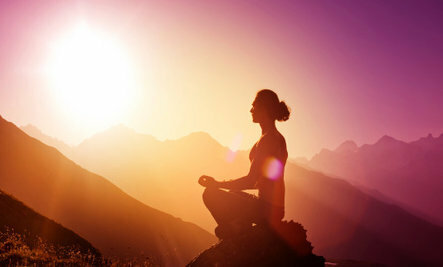 It just may be that working to understand our true nature through the cultivation of our minds and hearts with positive practices like meditation or similar techniques is critical to health and longevity. The ways we can change our bodies through changing our minds is not longer a theory. There is a new scientific language to understand how the qualities of the mind control the body through effects on the vagus nerve, immune cells, stem cells, telomeres, DNA, and more. Remember, your body has all the resources and infinitely adaptable systems to self-regulate, repair, regenerate, and thrive. You simply have to learn how to work with your body, rather than against it. Then you can have a healthy, thriving life — and live out your full lifespan, which can be as high as 120+ years! Try a yoga class in your area. Yoga can be a great way to release tension and deeply relax. Learn qi gong, a relaxing ancient system of energy treatment and balancing. 4) Get rubbed the right way. Massage has been proven to boost immunity and relaxes the body deeply. The only way you can do it is if you are not stressed! 6) Get back to nature. Climb a mountain and watch a sunrise, which will calm your nervous system. Write in your journal about your inner experience — this has been shown to boost immunity and reduce inflammation. Have you noticed how stress affects you? Have you noticed people looking older after significant life stressors? Have you noticed how people who seem to have a happy disposition or compassionate attitude toward life don’t seem to age as quickly as people who are angry and miserable? Do you have any other suggestions for how to reduce stress, or better yet, how to better your manage your own response to stressful events? ii Krause DS. Plasticity of marrow-derived stem cells. Gene Ther. 2002 Jun;9(11):754-8. Review. iii Lazar SW, Kerr CE, Wasserman RH, Gray JR, Greve DN, Treadway MT, McGarvey M, Quinn BT, Dusek JA, Benson H, Rauch SL, Moore CI, Fischl B. Meditation experience is associated with increased cortical thickness. Neuroreport. 2005 Nov 28;16(17):1893-7.
iv Epel ES, Blackburn EH, Lin J, Dhabhar FS, Adler NE, Morrow JD, Cawthon RM. 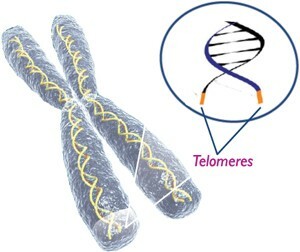 Accelerated telomere shortening in response to life stress. Proc Natl Acad Sci U S A. 2004 Dec 7;101(49):17312-5. Epub 2004 Dec 1. It used to be dogma that the brain was shut away from the actions of the immune system, shielded from the outside forces of nature. But that’s not how it is at all. In fact, thanks to the scientific detective work of Kevin Tracey, MD, it turns out that the brain talks directly to the immune system, sending commands that control the body’s inflammatory response to infection and autoimmune diseases. Understanding the intimate relationship is leading to a novel way to treat diseases triggered by a dangerous inflammatory response. Dr. Tracey, director and chief executive of The Feinstein Institute for Medical Research, will be giving the 2007 Stetten Lecture on Wednesday, Oct. 24, at the National Institutes of Health in Bethesda, MD. His talk – Physiology and Immunology of the Cholinergic Anti-inflammatory Pathway – will highlight the discoveries made in his laboratory and the clinical trials underway to test the theory that stimulation of the vagus nerve could block a rogue inflammatory response and treat a number of diseases, including life-threatening sepsis. With this new understanding of the vagus nerve’s role in regulating inflammation, scientists believe that they can tap into the body’s natural healing defenses and calm the sepsis storm before it wipes out its victims. Each year, 750,000 people in the United States develop severe sepsis, and 215,000 will die no matter how hard doctors fight to save them. Sepsis is triggered by the body’s own overpowering immune response to a systemic infection, and hospitals are the battlegrounds for these potentially lethal conditions. The vagus nerve is located in the brainstem and snakes down from the brain to the heart and on through to the abdomen. Dr. Tracey and others are now studying ways of altering the brain’s response or targeting the immune system itself as a way to control diseases. Research is now underway to see whether tweaking the brain’s acetylcholine system could be a natural way to control the inflammatory response. Inflammation is key to many diseases – from autoimmune conditions like Crohn’s disease and rheumatoid arthritis to Alzheimer’s, where scientists have identified a strong inflammatory component. Dr. Tracey has presented his work to the Dalai Lama, who has shown a great interest in the neurosciences and the mind-body connection. He has also written a book called Fatal Sequence, about the double-edge sword of the immune system. [The vagus nerve] resides in the chest and, when activated, produces a feeling of spreading, liquid warmth in the chest and a lump in the throat. The vagus nerve … originates in the top of the spinal cord and then winds its way through the body…, connecting up to facial muscle tissue, muscles that are involved in vocalization, the heart, the lungs, the kidneys and liver, and the digestive organs. In a series of controversial papers, physiological psychologist Steve Porges has made the case that the vagus nerve is the nerve of compassion, the body’s caretaking organ. …Porges notes that the vagus nerve innervates the muscle groups of communicative systems involved in caretaking – the facial musculature and vocal apparatus. In our research, for example, we have found that people systematically sigh – little quarter-second, breathy expressions of concern and understanding – when listening to another person describe an experience of suffering. The sigh is a primordial exhalation, calming the sigher’s flight/flight physiology, and a trigger of comfort and trust, our study found, in the speaker. When we sigh in soothing fashion, or reassure others in distress with our concerned gaze or oblique eyebrows, the vagus nerve is doing its work, stimulating the muscles of the throat, mouth, face, and tongue to emit soothing displays of concern and reassurance. Second, the vagus nerve is the primary brake on our heart rate. Without activation of the vagus nerve, your heart would fire on average at about 115 beats per minute, instead of the more typical 72 beats per minute. The vagus nerve helps slow the heart rate down. When we are angry or fearful, our heart races, literally jumping five to ten beats per minute, distributing blood to various muscle groups, preparing the body for fight or flight. The vagus nerve does the opposite, reducing our heart rate to a more peaceful pace, enhancing the likelihood of gentle contact in close proximity with others. Third, the vagus nerve is directly connected to rich networks of oxytocin receptors, those neuropeptides intimately involved in the experience of trust and love. As the vagus nerve fires, stimulating affiliative vocalizations and calmer cardiovascular physiology, presumably it triggers the release of oxytocin, sending signals of warmth, trust, and devotion throughout the brain and body, and ultimately, to other people. Finally, the vagus nerve is unique to mammals. Reptilian autonomic nervous systems share the oldest portion of the vagus nerve with us, what is known as the dorsal vagal complex, responsible for immobilization behavior: for example, the shock response when physically traumatized; more speculatively, shame-related behavior when socially humiliated. Reptiles’ autonomic nervous systems also include the sympathetic region of the autonomic nervous system involved in flight/flight behavior. But as caretaking began to define a new class of species – mammals – a region of the nervous system, the vagus nerve, emerged evolutionarily to help support this new category of behavior.